It never ceases to amaze me how many times I need to explain this, but here goes again. The Knytes-of-Anarchy IS NOT A MOTORCYCLE CLUB, we are a old skool Over the Road, Long Haul truckers and classic tow truck club. Not a MC, more on the lines of TC(truckers Club) If anyone goes back to our older blog postings you'll see that, in our reformation, bringing together our Hazzard Knytes background and our OTR truckers legacy into one organization, one can see that we never ever meant to be a MC. However the fact that many of us ride 2 wheels when not pulling freight, or snagging and dragging cars and heavy trucks was just a coincidence. The other half of this, was simply that truckers, like bikers, love the open road, good food, a full set of fuel tanks and hot women is just a fact of our lives. We reformed to defend and protect the last bit of free enterprise in this nation that is so vital to everyone, the American Over The Road trucker, in the old skool image. And yet few recognize this. But hell just look at our LiveStream radio shows, only one denotes anything MC. 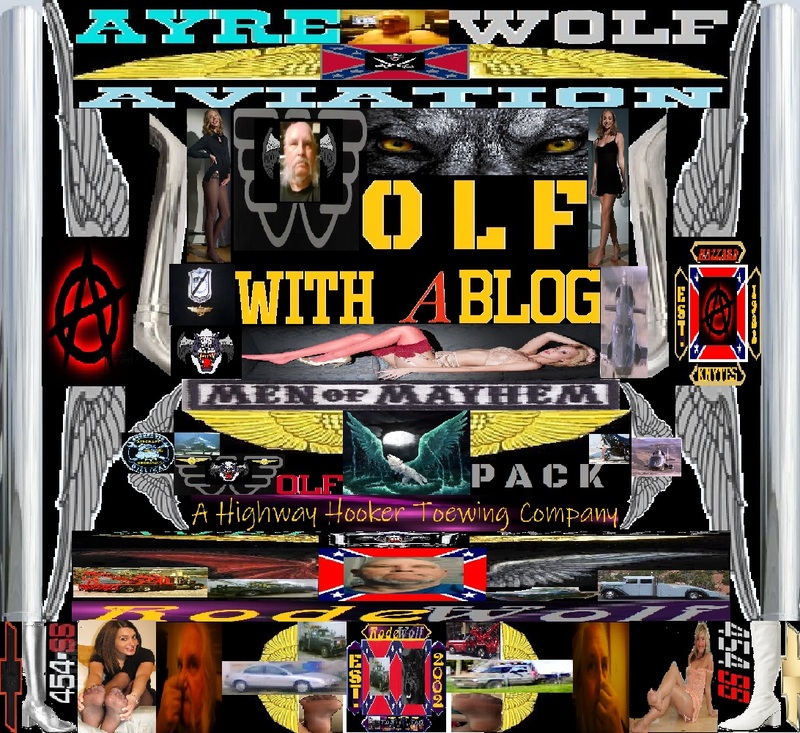 The rest ALL deal with trucking and/or towing, except for AyreWolfFM which is for our brother organization the AyreWolvez, who are serving and have served in our Marine Corps and Navy as aviators(pilots). But I still every once in awhile have to remind people of that. The only reason that our shop, builds classic Harley's, Indians, Triumphs and Norton bikes is that one of our members here in Evanston, does truck repair. If that were not the case, HCC would reopen as the Dixie Diesel Shop of the Mountain West, and we'd be done with it. Sorry about last night, but by the time I was done nursing my stomach and the end of the race from Daytona , my was that a hell of a race especially at the end. Dale Junior won, but that wreck just behind him, whew, shows how much NASCAR does do to make sure safety is a major factor, in the building of those cars. Anymile, but it was so late that I bagged the radio show and decided to get to bed so I could sleep, one full night while it was dark outside. So in summary, let me just restate, the Knytes-of-Anarchy, is not a MC, we are A TC, a Truck Club.